Another GREAT post! Thank you!!! Excellent, thought provoking article. I have often thought that well-planned communities should be high on the list of sales pitch items for realtors – even those in small towns such as mine. I fully agree with the 4 dimensions of good neighborhoods. My struggle comes with their translation into local regulation – I’m an urban designer working for a suburban county with an old fashion Eucledian zoning Code. Is there anything we can do? When each small parcel is individually owned and, making it even more complicated, when said parcels are already developed, how can we create a better place to live? Please find the following: Galina Tachieva’s “Sprawl Repair Manual,” Ellen Dunham-Jones’ “Suburban Retrofit,” as well as her TED Talk on the topic. And, find Jeffrey Tumlin’s “Sustainable Transportation Planning,” and Robert Gibb’s “Principles of Urban Retail.” The Tactical Urbanism (Mike Lydon, Dan Bartman, and Russ Preston) may have a few sooner than later interventions to making lemonade from suburban lemons. Thank you for reading and asking. Good luck! The 5 C’s a an excellent framework. Who came up with this? John, I stole the first three C’s from Andres Duany, the fourth is all mine (as I’m reading JHKunstler harp on the evils of complexity), and the fifth from Mr. Michael J. Stepner, FAIA, FAICP. So, I used a vulcan mind meld to figure it out… except that now Brian DiSabatino added a 6th, Catalyst. Needing a catalyst for improvement (either a person or a project). So, back to the drawing board! Oh, and I forgot to add that Scott Doyon made it into the title… So, essentially it takes a village to blog for Howard Blackson (or a neighborhood). 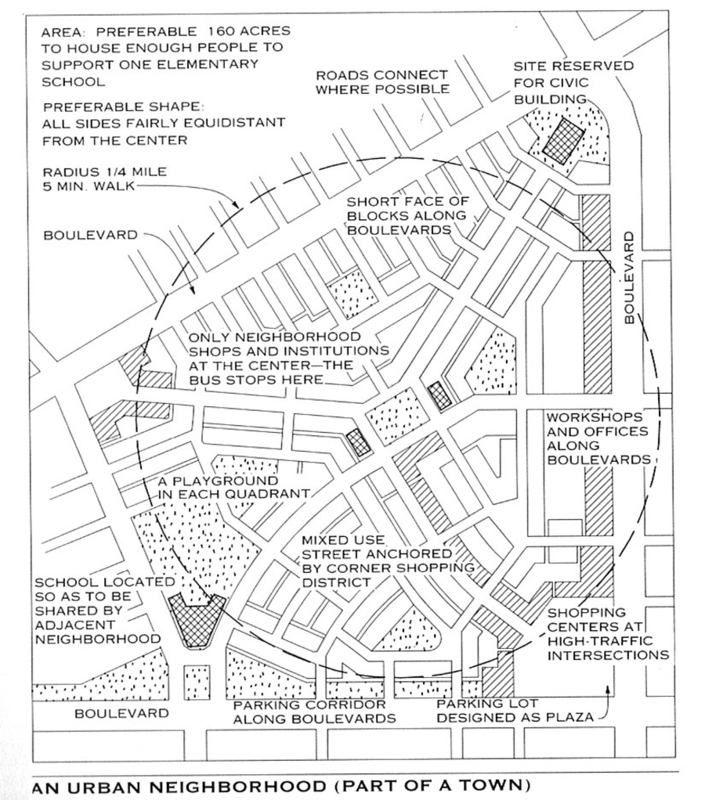 I was reminded that Andres Duany presented these same 5 C’s for neighborhood building. And, I also want to credit Mr. Mike Stepner for promoting our need to be convivial. So, I stand on the shoulders of giants and give them credit for this blog entry. 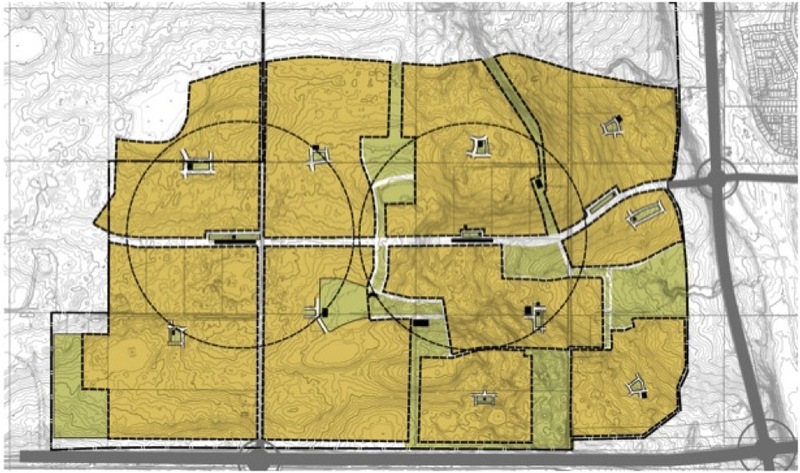 DPZ made the neighborhood diagram. Liz Giffen took the Little Italy photo. Geoff Dyer drew the ped shed plans. 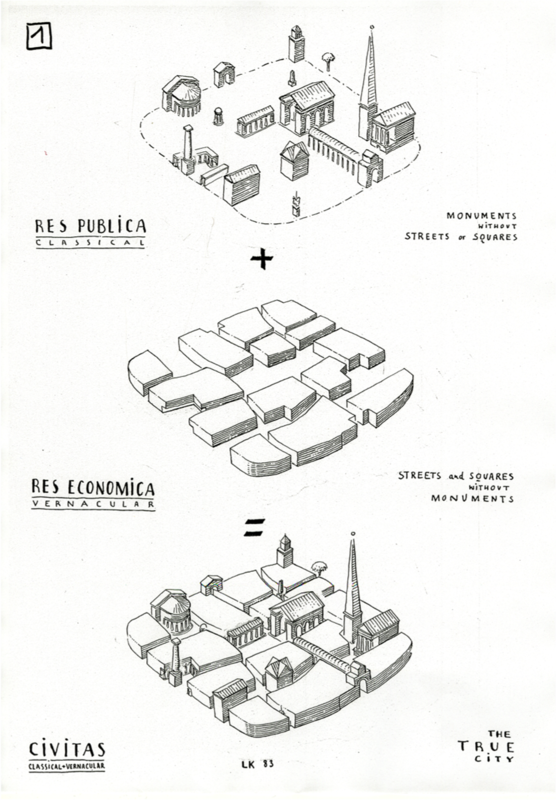 Leon Krier drew the public/Private diagram. Blackson’s best is the phrase “convivial”. 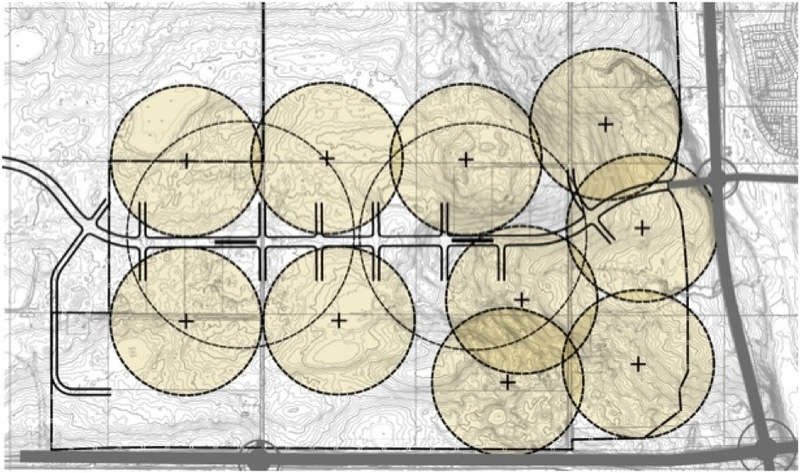 We can all recognize importance in planning (or individual building structures) of complex, connection, compact and complete as necessary for successful planning (or building) efforts. Yet his addition of the culturally important – and ethicially imperative – “convivial” helps brighten, enlighten and affirm our stake for succsess in humanity. The Neighborhood Unit image in the article is DPZ/Andres Duany, and (surprising to me) came from the AIA/Wiley Architectural Graphic Standards 10th edition (2000). Yes, Perry’s was the first (20’s I believe). ULI Community handbook (1940’s) Andres/DPZ updated the graphic (90s), and then Doug Farr updated the unit image afterwards (2008). BTW, Tigran, you and I wrote chapters for Sebastian Loew’s “Urban Design Practice” book published earlier this year. Sebastian was my thesis advisor in London. Cheers! 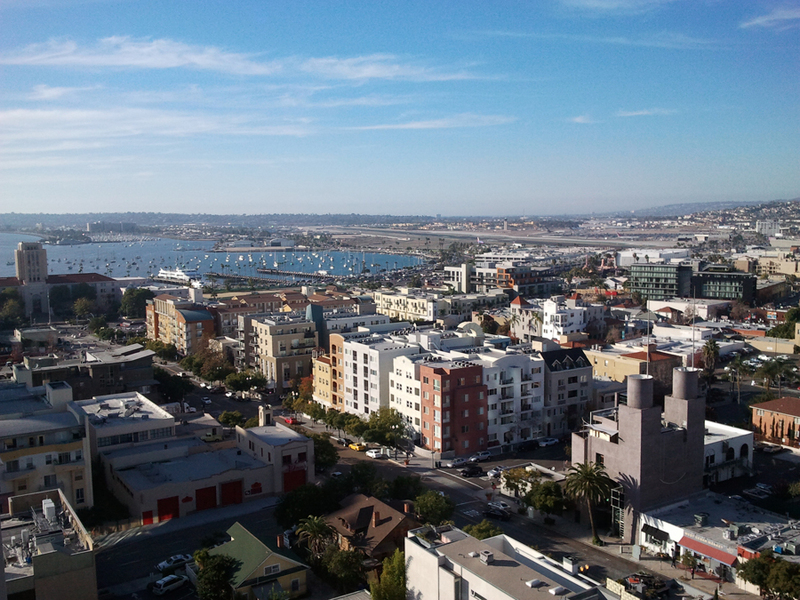 And, the Little Italy image is from… San Diego! That is our airport and bay in the background. The height is regulated by the FAA.